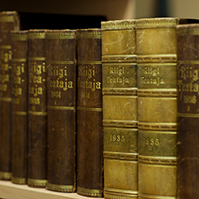 Chancellor of Justice Allar Jõks gave an overview to the Riigikogu of the conformity of legislation passed by the legislative and executive powers and by local governments with the Constitution and the laws before the Riigikogu. 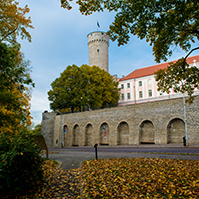 The report of Mr. Jõks consisted of three parts: an overview on last year’s positive developments, problems of the Estonian law and order, and visions of the Chancellor of Justice about developments jeopardizing democracy. Positive developments highlighted by Mr. Jõks included the changes to the standards and practices of workers’ redundancy protection and validity of driving licences, a thorough reform of anti-corruption legislation by the Ministry of Justice, the improvement of the citizens’ legal knowledge, the improved professional abilities. 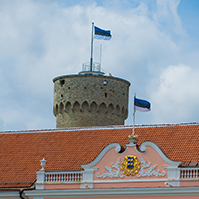 When drawing attention to the weak points of law and order, the Chancellor of Justice stressed that nothing had been done to prevent members of the Riigikogu from belonging illegally to the supervising boards of companies. The Chancellor of Justice also mentioned the problems concerning the establishment of a controlling body for checking the financing of political parties and in connection with this, the restrictions imposed on election propaganda. 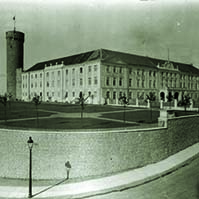 In the opinion of the Chancellor of Justice, there were still shortcomings in the organization of the Defence Forces, in the matters of school health care, in the accessibility of psychiatric aid, in updating legislation concerning classified information, public water supply and sewerage system and the state legal assistance. The Chancellor of Justice stated that the loop-holes of the state supervision and its fragmentation between different agencies was disturbing. 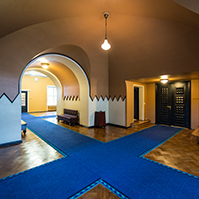 He also drew attention to the dangerous transit vehicles passing through Tallinn, Tartu, Narva and other densely populated locations in Estonia every day, as well as to the problems in planning and organisation of construction works. When speaking of developments endangering the constitutional order, Mr. Jõks highlighted the superficial integration of the third sector, the labelling of people into has-beens and up-and-comers, referring also to the threats of social sanctions made by the political elite, their disparaging, ridiculing attitude and creation of an atmosphere of fear. In the opinion of the Chancellor of Justice, the society will become more and more closed. The expansion of the activities of political parties is taking on exorbitant dimensions and private interests are habitually given the upper hand over public interests. Mr. Jõks illustrated these allegations with the example of the aspirations to politisise the supervising Board of the National Broadcasting. 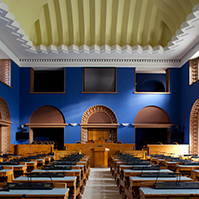 The Riigikogu passed with 46 votes in favour the Basic Schools and Upper Secondary Schools Act, Private Schools Act and Pre-school Child Care Institutions Act Amendment Act (915 SE), initiated by the Government of the Republic. A lot of amendments and specifications of technical character were introduced in the Acts. The amendments and specifications are necessary for solving the problems and conflicts, due to the amendments introduced in other legal acts, or different interpretations of provisions.